The YBH-301/301S incorporates a similar design as that of 621, and shares many of its tonal characteristics. Easy to play, the 301 features excellent intonation. The precise fit between valve casings and pistons after honing means no air leakage. Perfectly rounded tubing results in less turbulence and a smoother air flow, thus allowing for an excellent scale and reduced resistance. 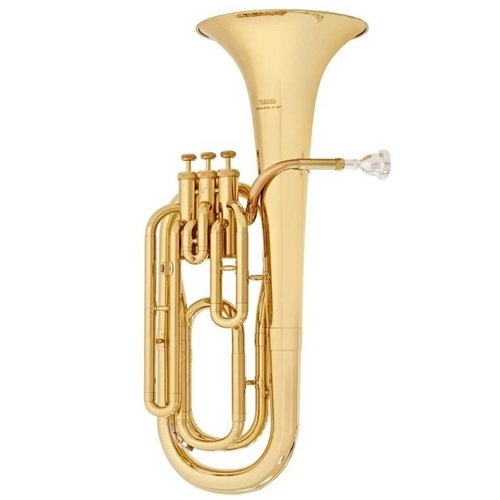 A high-energy laser fuses the brass together for a virtually seamless bell which allows continuous, even vibrations and the wrap of the Yamaha baritones makes the instruments comfortable to play.